Canton, Ohio is the home of the Pro Football Hall of Fame, and what better day than today to make it the “Museum of the Day”! Where else did you think we’d go today? 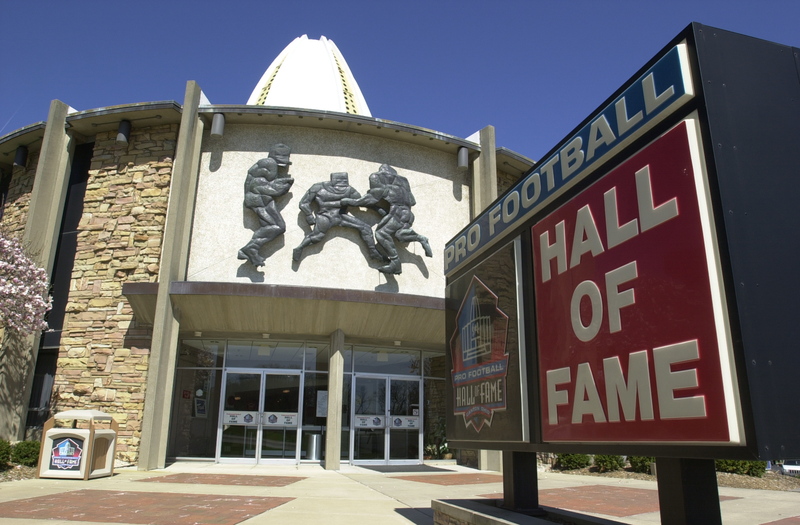 Since opening in 1963, the Pro Football Hall of Fame has grown in both size and stature. The building was expanded in 1971, 1978 and 1995, and completed major exhibit gallery renovations in 2003, 2008, and 2009. Together, these improvements have transformed the original 19,000 square-foot Hall of Fame museum into an exciting internationally recognized institution and travel destination. Currently, the Hall of Fame is undergoing the largest expansion and renovation in its history. The “Future 50” Expansion & Renovation Project has expanded the museum to 118,000 square feet. The two-year, $27 million project will be completed by the summer of 2013 after a major renovation to 38,000 square feet of museum space is finished.Today, the Hall of Fame stands as a shining tribute to the men who have made professional football America’s most popular sport.